Cash back terms and exclusions: - 0.1% cash back by using a $20 off, $10 off coupon, or other coupon promotions. - Orders that have not shipped - Coupon codes obtained from sites other than GoCashBack.com may void cash back. 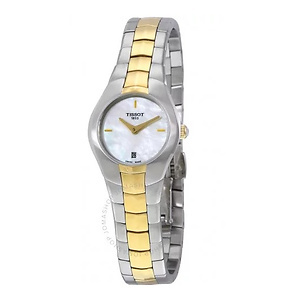 TISSOT T-Round Mother of Pearl Dial Two-tone Ladies Watch Item No. T096.009.22.111.00, only $109.99 after using coupon code 55HTFS5, free shipping. 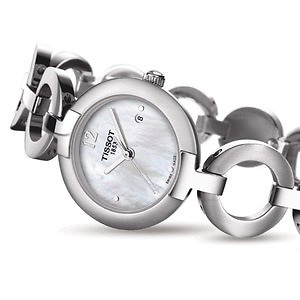 JomaShop.com offers the extra $35 off TISSOT Pinky by Mother of Pearl Dial Ladies Watch T084.210.11.117.01 for $124.99 via coupon code GMTS35 . Free shipping. Deal ends 4/23. 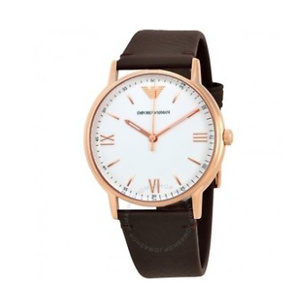 Features: Stainless steel case with a stainless steel bangle bracelet. Fixed stainless steel bezel. Mother of pearl dial with silver-tone hands and dot hour markers. An Arabic numeral marks the 12 o'clock position.. Date display at the 3 o'clock position. Quartz movement. Scratch resistant sapphire crystal. Case diameter: 27.95 mm. Water resistant at 30 meters / 100 feet. 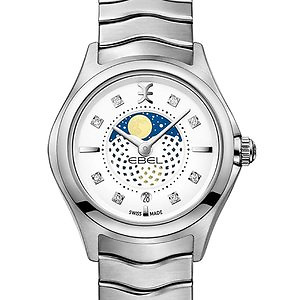 JomaShop.com offers an extra $1000 off EBEL Wave Moonphase Diamond Silver Dial Ladies Watch 1216372 for $599 via coupon code XB1000 . Free shipping. Deal ends 4/17. 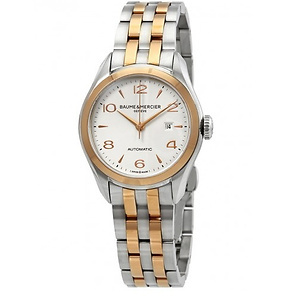 Features: Silver-tone stainless steel case with a silver-tone stainless steel bracelet. Fixed silver-tone stainless steel bezel. Date display at the 6 o'clock position. Moonphase subdials. Quartz movement. Scratch resistant sapphire crystal. Case size: 30 mm. Water resistant at 50 meters / 165 feet. 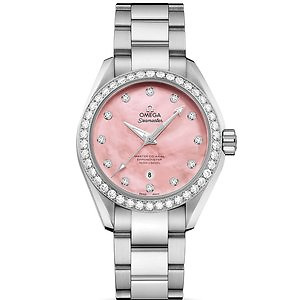 JomaShop.com offers the extra $1000 off OMEGA Seamaster Aqua Terra Automatic Diamond Ladies Watches 2 styles for $5995 each via coupon code MG1000 . Free shipping. Deal ends 4/18. 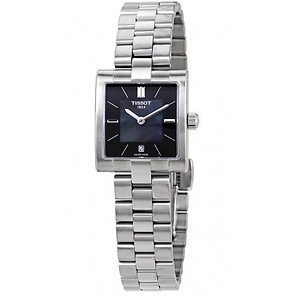 Features: Silver-tone stainless steel case with a silver-tone stainless steel bracelet. Fixed silver-tone diamond set bezel. Mother of pearl dial with silver-tone hands and diamond hour markers. Date display at the 6 o'clock position. Omega Calibre 8520 automatic movement with a 50-hour power reserve. Scratch resistant sapphire crystal. Transparent case back. Case size: 34 mm. Water resistant at 150 meters / 500 feet. 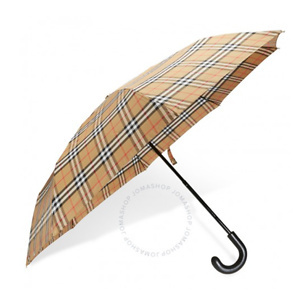 Jomashop has BURBERRY Vintage Check Folding Umbrella- Antique Yellow/Black for only $159.99 with code MMBR20. Shipping is free. 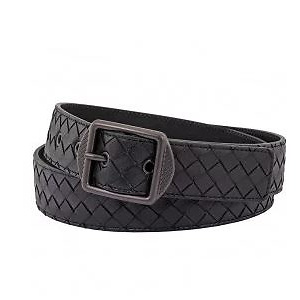 Jomashop has BOTTEGA VENETA Intrecciato Nappa Black Belt for $354 after using coupon code FLASHFS20. Shipping is free. 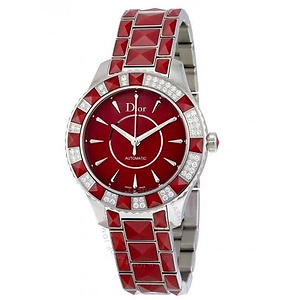 Jomashop has ​Christal Red Dial Diamond with Red Sapphire Inserts Automatic Ladies Watch for $2850 after using coupon code ​MMCD1000. Shipping is free.